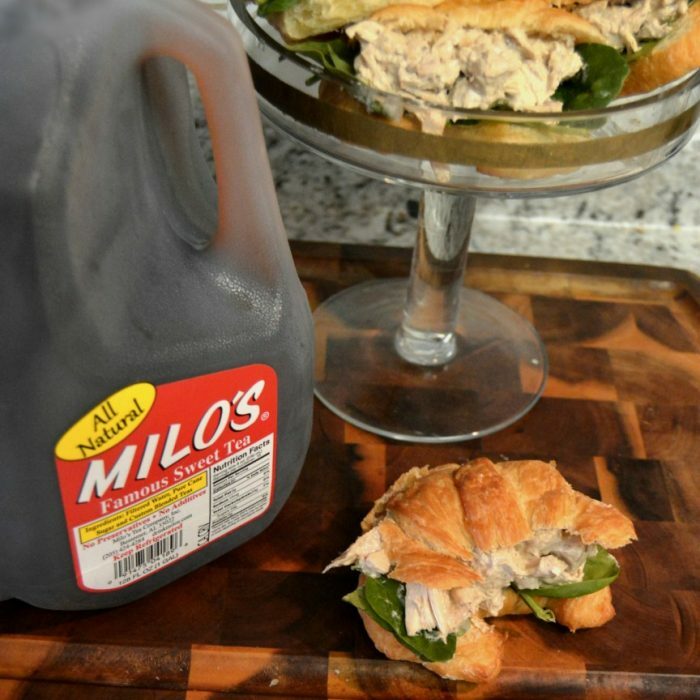 Balsamic Cream Cheese Chicken Salad - Milo's Tea Company, Inc. In a small stock pot, combine vinegar, Milo’s Famous Sweet Tea, red pepper, garlic, and soy sauce. Bring to a boil, reduce to a simmer and cook for 8 minutes stirring occasionally. Take sauce off of heat and add in cream cheese. Stir to combine. 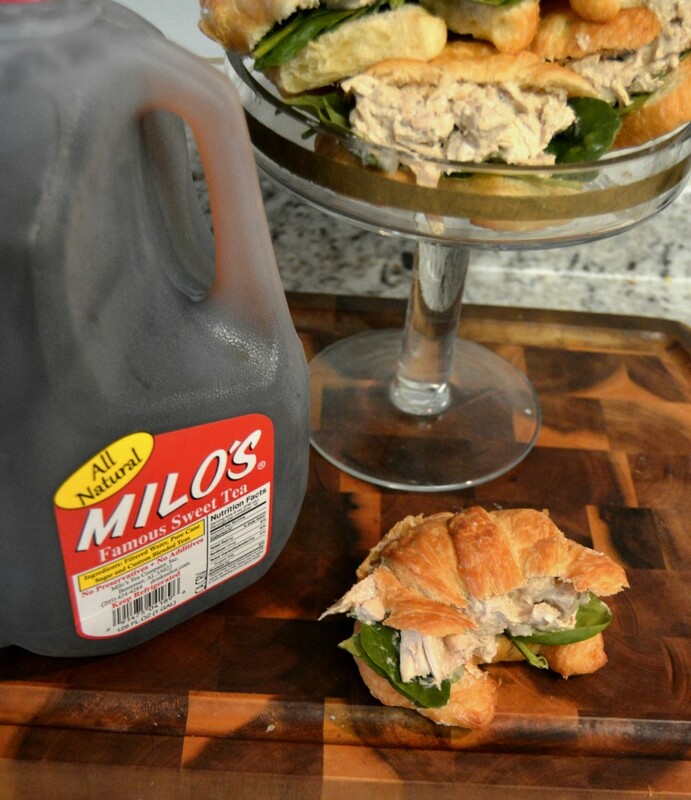 Add chopped chicken and enjoy on a bed of spinach or croissant.